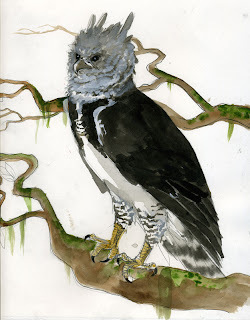 I took on a commission some weeks ago to do a large watercolor of a Harpy Eagle. I just completed a couple of very rough sketches this week. 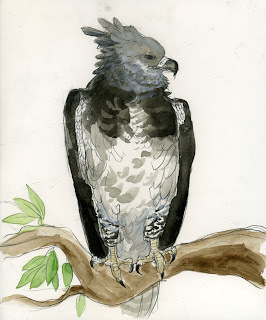 There are a couple of different species of Harpy: one native to the neotropics, and one native to New Guinea (Kapul Eagle). The client was interested in the former. I looked at our one Harpy eagle specimen in the Field Museum collections and took some reference photos, and brought home a stack of books from the library. I was somewhat familiar with them before doing research, but didn't realize just how large they are until I saw the specimen. 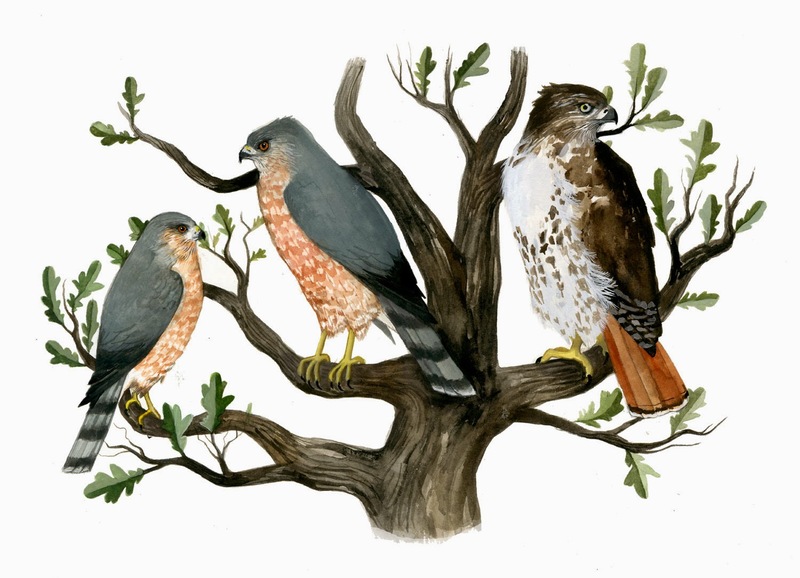 They're extraordinary birds of prey. They are the largest raptor that can be found in the Americas. They occupy tropical lowland forests, and hunt mammals such as monkeys and sloths. I've included a photo of the talons on the Field specimen, so that you can get an idea of just how powerful this creature is. The talons are roughly the size of my hands, and I don't have petite hands either. I'll try to post process photos when I work on the larger, final painting. It hunts SLOTHS?! Man...that's just mean. I have to agree with Kristin. Eagle vs. sloth: not a fair fight. Yeah, I know. Nature is unjust sometimes. I have big serious love for sloths too (read: spend too much time on Youtube watching baby sloth vids, people helping sloths cross roads in Venezuela). Andy: painting size roughly 30 x 48".